The name SPEAKS for itself! This class combines basic Boxing Fundamentals, Dance, Plyometrics and High Intensity Interval Training to some of the HOTTEST PLAYLIST to BOOST your HEART RATE and BURN up to 1000 CALORIES in 1hr!!! All levels welcome. There are no upcoming “Drenched Cardio” classes on this day. Class is great. Irene is awesome! Inspirational! The instructor could have cared less and there was a man next to me who grunted the whole time. There were only three people in the class and no amped up music. Irene Blanks is incredible! 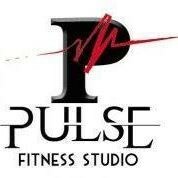 If you have the opportunity to take her 7:15am at Pulse, its a perfect way to start your morning. She really challenges you, but its a lot of fun. Its a great variety of weight training, core and cardio. And awesome music. Irene is great, but class focused for beginners. love the instructor and def challenging! Michael was amazing!!! Such an awesome workout! My legs will be sore for days!